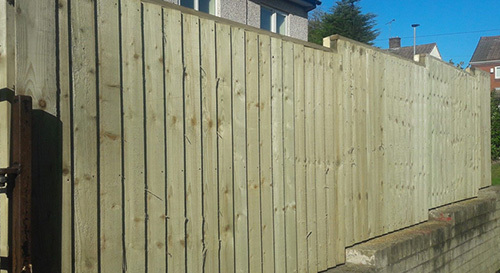 We are renowned for our high quality fencing panels made with our hand picked A grade timber boards and heavy-duty back rails. 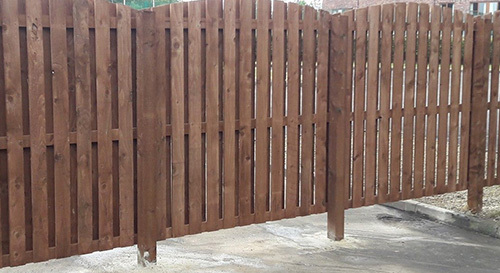 All of our timber fence panels (excluding budget panels) come pressure treated (Tanalised) as standard, also, bowing and dipping available. We use approx 4" x ¾" boards, and heavy duty 3" x 1 ½" back rails. All timber for these panels are pressure treated green as standard, we offer a dipping service in brown as shown in picture. 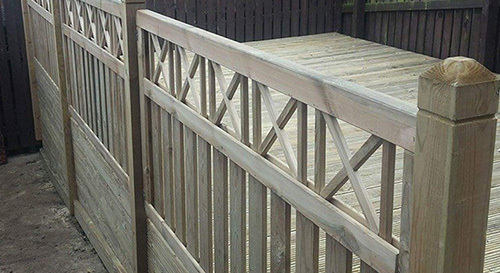 Supalap fencing is ideal for privacy in the garden which makes it the most popular panel we do. For a more decorative touch in the garden, we offer the panels as bow tops. We use approx 5" x ½" board and heavy duty 3" x 1 ½" back rails. This is a cheaper alternative to the more heavy duty supalap which is also great for privacy. Timber pressure treated green, which can be dipped brown or for a more decorative touch, we offer the panels as bow tops. 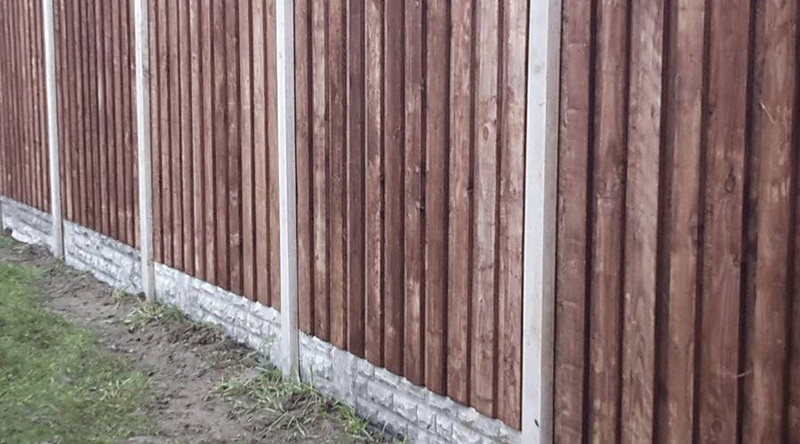 We use 5" x ½" board and heavy duty 3" x 1 ½" back rails for our Vertilap fencing which make great privacy panels. We offer the panels as bow tops and the timber pressure treated can be dipped brown. 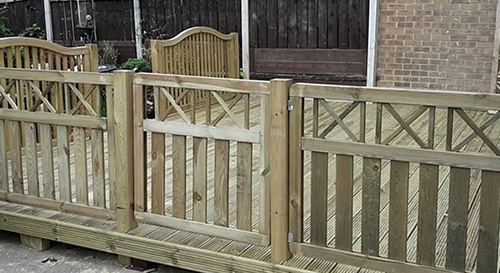 We use 4" x ¾" board and heavy duty 3" x 1 ½" back rails for our single sided standard gap fencing. The gaps between boards are approx 2 ½". This fencing is ideal for splitting gardens, keeping pets in, making a cheap boundary which also allows the wind to blow through preventing storm damage. We offer bow tops and the timber pressure treatment can be dipped brown. We use 4" x ¾" board and heavy duty 3" x 1 ½" back rails for our single sided 2" gap fencing. Similar to the standard gap fencing, this is ideal for splitting gardens, keeping pets in and also allows wind to blow through preventing storm damage. For a more decorative touch in the garden we offer the panels as bow tops. We use 4" x ¾" board and heavy duty 3" x 1 ½" back rails. Gaps between boards are approx 1" which makes them ideal for splitting gardens, keeping pets in and also allows wind to blow through preventing storm damage. Timber pressure treated can be dipped brown and for a more decorative touch in the garden, we can offer the panels as bow tops. We use 4" x ¾" board and heavy duty 3" x 1 ½" back rails for this fencing. 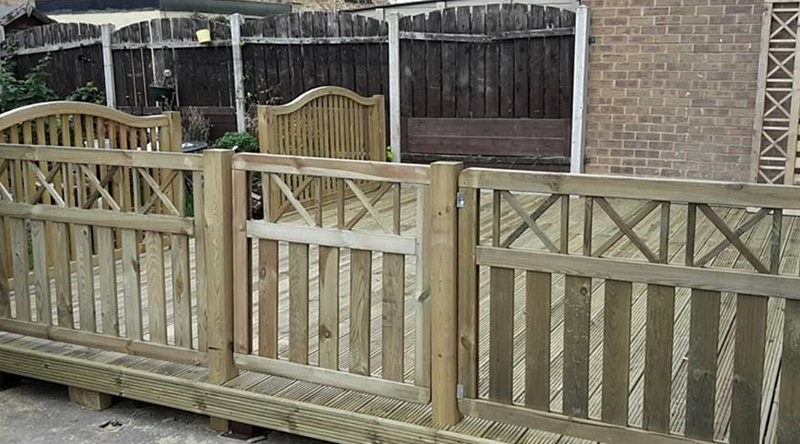 The gaps between boards are approx 2 ½" and are double sided which makes them great for sharing with neighbours as both sides are the same. On a double sided panel you will see through looking on an angle but not looking at the panel straight on. These panels are timber pressure treated which can be dipped brown, with bow tops available. We use 4" x ¾" board and heavy duty 3" x 1 ½" back rails for this fencing. The gaps between boards are approx 2" and they are pressure treated which can be dipped brown. 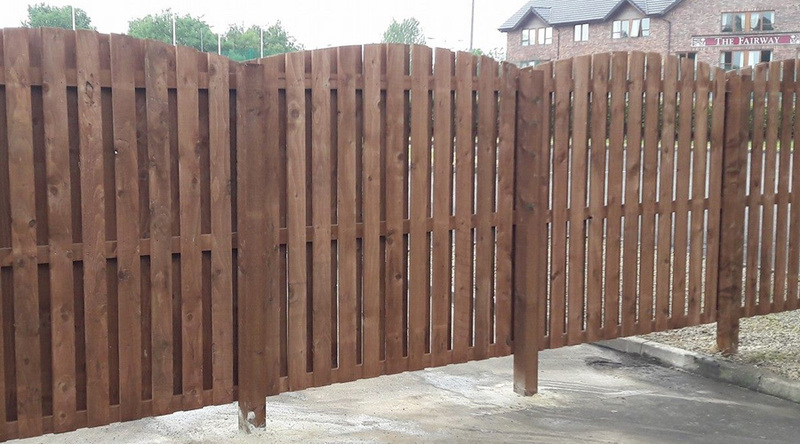 These fencing panels are our most popular double sided panel becuase they are great for sharing with neighbours as both sides are the same, with the added bonus of only being able to see through looking on an angle but not looking at the panel straight on. We use 4" x ¾" board and heavy duty 3" x 1 ½" back rails. Gaps between these boards are approx 1" which are also pressure treated, which can be dipped brown. 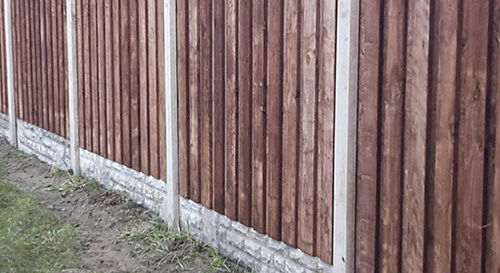 These are one of our best looking fencing panels as they are great for sharing with neighbours as both sides are the same but also provide great priovacy with the smaller gaps. Bowing also available on these panels. 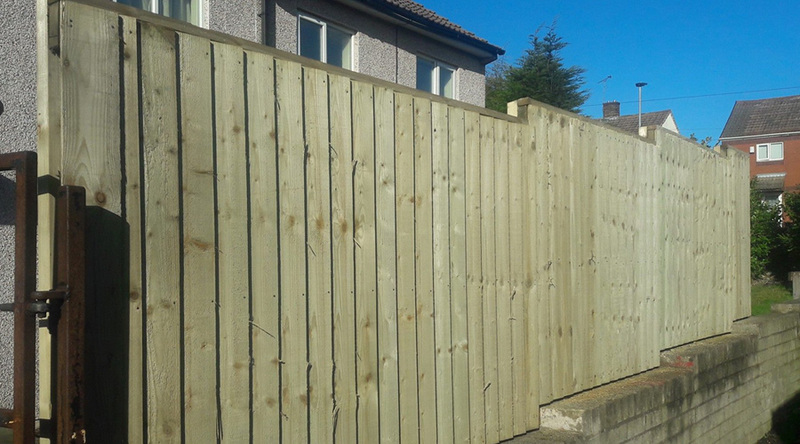 If you are looking for affordable fencing for your property, look no further than our budget overlap panels, they are a cheaper alternative to our other fencing panels and look great. Panels will be about 1 inch higher than stated as we add a weather cap to the top. 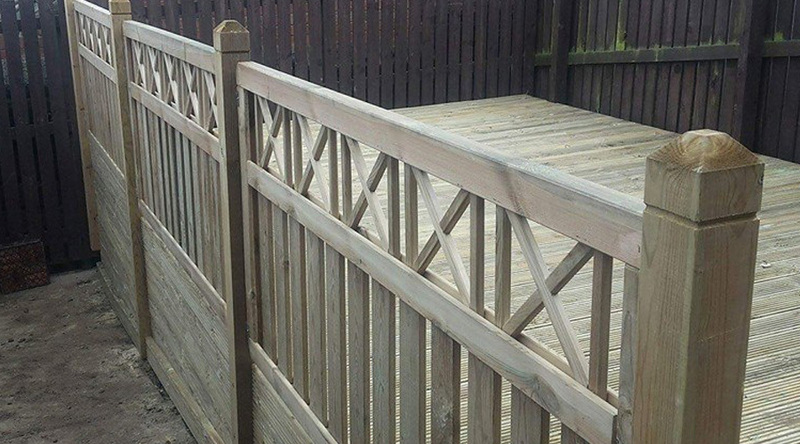 Is your shed, fencing or timber in need of sprucing up? 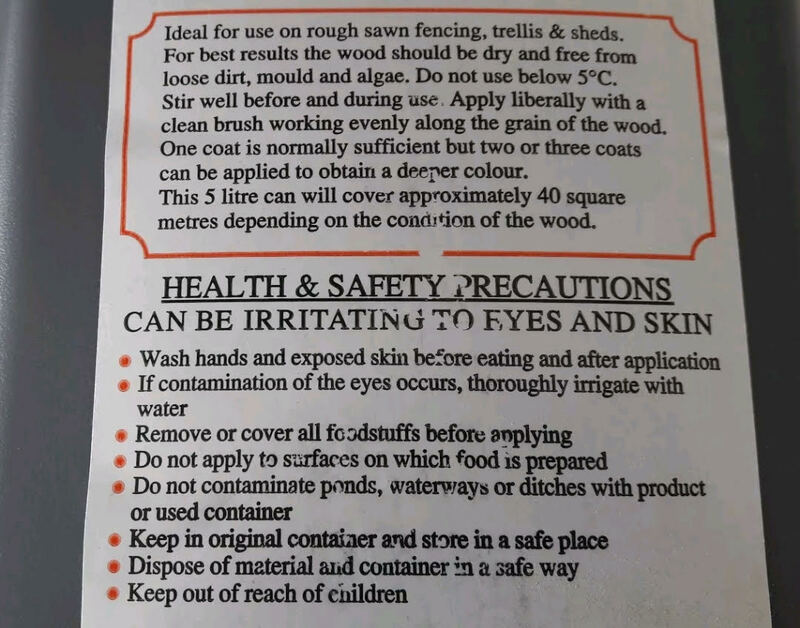 Well our specialised S Beech colour dip is perfect for not only improving the look of the shed / fencing, it also protects it from the elements. This product is available in 5 litre containers from our timber yard in Jump, Barnsley.